The $4 stamp is the only stamp of that denomination ever issued and one which collectors prize not only for its rarity (only 30,000 were printed) but its beauty, an exquisite carmine with some copies having a crimson hue. Mint specimens of this commemorative have been sold for more than $20,000. Isabella was also the first named woman to appear on a United States coin, the 1893 commemorative Isabella quarter, celebrating the 400th anniversary of Columbus's first voyage. 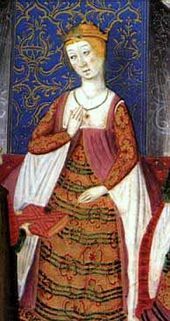 Isabella of Castile: Europe's First Great Queen, by Giles Tremlett, won the Elizabeth Longford Prize for Historical Biography in 2018. Another biography of Isabella, Isabella, The Warrior Queen by Kirsten Downey, was published by Anchor Books of Penguin Random House in 2014. 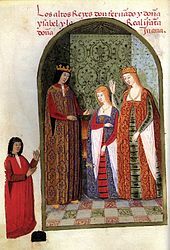 Isabella is the subject of The Queen's Vow by C.W. Gortner, published in 2012. 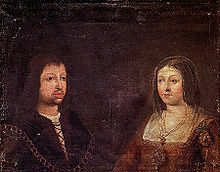 A young Isabella is the main protagonist in Isabel, Jewel of Castile, a part of the Royal Diaries series by Scholastic. Isabella's life, from her early youth through the conquest of Granada, is novelised in The Queen's Cross: A biographical romance of Queen Isabella of Spain by Lawrence Schoonover, published in 1955 by William Sloane Associates, Inc. It was reprinted in 2008 by Fountain City Publishing ISBN 0976086743. Casas, Rafael Dominguez (1990) San Juan de los reyes: espacio funerário y aposento r��gio – in Boletín del Seminário de Estúdios de Arte y Arqueologia, number 56, p. 364–383, University of Valladolid.